First… a BIG thank you to my Uncle Thad for letting me post on his blog! Please forgive and try to overlook imperfections and rambling as I am not used to posting like this. If you don’t know me or my family, here’s a little intro… My name is Courtney. My husband, Dale, and I have been married for 9 years this May. God has blessed us with two beautiful children. Stephen is 7 years old, loves baseball and is absolutely a momma’s boy! 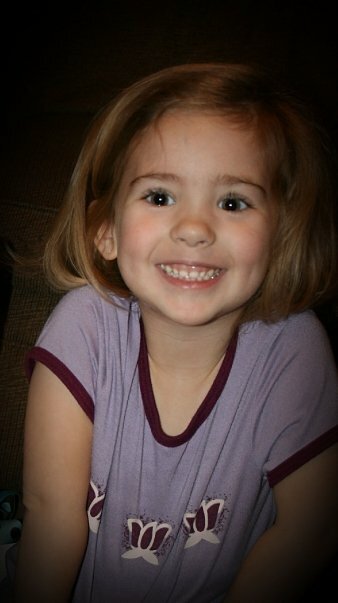 Emily is 3 years old, a girly girl with attitude and is in love with her Daddy and “Bubby”! We love the Lord and are very thankful for the things that He has done and is doing in our lives in good times and in bad. If you do know us, you also know that we have struggled greatly with Emily’s health. In October of 2007, Emily suddenly spiked a fever of 106.3 degrees and it would not break. She became lethargic so we took her to Baptist South where her pediatrician met us at 11:30 that night. She immediately began giving her intravenous fluids and took her across the hall for a Lumbar Puncture (spinal tap) along with other blood work. Meanwhile, Dale, my mother and I were holding hands in room 551 of the pediatric unit at Baptist South as we gathered around an empty baby bed in prayer. Emily was just across the hall in the treatment room and the cry that we heard was absolutely heart breaking. I have never, in my life, felt more alone and scared. Once she was returned to our arms, our time there became a waiting game. The normal blood work returned with abnormal results, but really still didn’t tell us anything. We would have to wait 48-72 hours for the culture results from the lumbar puncture to be final. Still at the hospital on day three… still with extremely high fevers… still no answers… we received a phone call from the doctor saying that the culture was complete and Emily did in fact have Viral Meningitis. As a parent, just the word “meningitis” is devastating to hear. We were told that “if you have to have Meningitis, you want Viral and not Bacterial” and I assure you that was not much comfort at all. After 7 days, Emily (with the arms of Jesus wrapped tightly around her) was able to go home to continue recovering from this terrible virus that attacked her little body. After about 21 days, Emily began to run another high fever. We, then, began to see a pattern of extremely high fevers every 21-28 days. Sometimes they came with other symptoms and sometimes they didn’t. Our sweet little baby endured two more lumbar punctures, many series of tests, so forth and so on for about 14 months. She had 8 lengthy stays at Baptist South and 3 at Children’s Hospital in Birmingham during that time. The nurses got to know her and she became what they called a “frequent flyer” there at Baptist South. Emily was sent to an Infectious Disease specialist at Children’s who took lots of time with me one day explaining the possibilities and options. He referred us to a Pediatric Immunologist there at Children’s in Birmingham and we finally began to feel like we were getting somewhere. There was a series of 4 tests that required taking blood and sending it to Baltimore. He explained that the tests were most likely not covered by insurance and they would be at least $1,000.00 each. Whew! We went on with the tests, though, because we had no other hope of finding out what was going on with our baby girl. They did one test at a time so it took about 4 months to get all of the results. I received a call from Children’s Hospital one day about a year ago saying that Emily had been diagnosed with Cyclic Neutropenia. The process of getting a diagnosis was extremely long and frustrating. Come to find out, her CN was caused by the Viral Meningitis that she had at 10 months old. Cyclic Neutropenia is one of the rarest forms of Neutropenia with an incidence of one per million. It is usualy caused by the ELA2 gene. 10%, though, do not carry the gene. CN affects the production of neutrophils in the white blood cell count. Neutrophils are the type of white blood cell that attacks bacteria in the blood. Since Emily’s diagnosis, I have researched and talked with doctors anytime I have the chance, but have never actually met anyone living with Cyclic Neutropenia. Just yesterday, as I was researching and studying, I found a Facebook group for parents of children with Cyclic Neutropenia or for adults that have this type of Neutropenia. Through this group, I found a family right here in Alabama that has been affected by CN in a major way. Chad and Brittany are the parents of three beautiful girls. Joeli was their first and she left this earth after 3.5 short years, she would have been 7 this year and Brittany has shared with me that they take comfort in knowing that she is in the lap of our Father in Heaven. Brelan is their middle daughter and is 3.5 years old. Mileigh is the baby and she is 1.5 years. They live in Mobile and have a photography business called All Heart Photography. Visit them at http://www.allheartphotography.com when you have a minute and read “Joeli’s Song”. 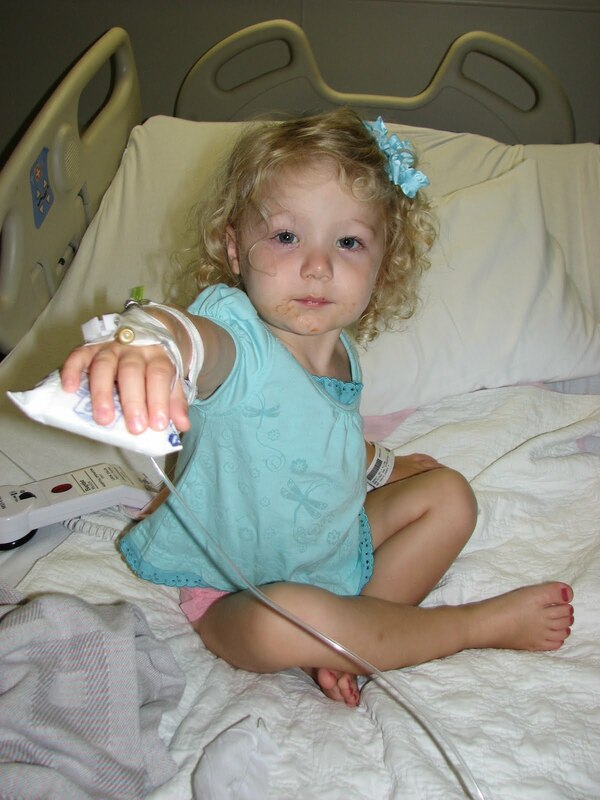 On January 18, 2007 Joeli developed a massive bacterial infection that her little body just couldn’t handle. Joeli had Cyclic Neutropenia and lost her life due to her neutrophils being too low to fight the infection. Brittany and Mileigh also have CN and in their cases it is hereditary. Chad and Brittany have started a fundraiser to help raise money and awareness for the NNN (National Neutropenia Network) and the SCNIR (Severe Chronic Neutropenia International Registry) where they have customized bracelets in honor and in memory of Joeli. Dale and I would like to soon place an order for these bracelets to do our part in helping raise money and awareness for and about Cyclic Neutropenia so other people don’t have to go through what Chad and Brittany are still living through. We would love to have your support by ordering a bracelet if you are able and would like to do so. Each bracelet is $5.00 and all of the proceeds benefit the NNN (National Neutropenia Network). They work hand in hand with the SCNIR (Severe Chronic Neutropenia International Registry). If you’d like to join us in this order, please let me know by contacting me via Facebook or email me at cbarrett82@att.net ! I have attached pictures of Joeli, Emily and the Cyclic Neutropenia Awareness bracelets to this post so you can see the beautiful faces that CN can be behind and the bracelets that are making a difference in their lives. ← Laissez Les Bons Temps Rouler Four Days Late? What Say You? I think sometimes people don't know what to say when a life is lost or someone they know is going through a trial. I just wanted to say that it is indeed okay to comment even if you don't buy a bracelet. The bracelets are a great tool for raising awareness and funds for research and medical costs, but getting the word out is our main concern. We want people to understand what CN is and the symptoms so others don't have to go through what Chad and Brittany are living through and so people might one day not have to go through an act of congress to reach a diagnosis. Your prayers, if you are willing to take the time, are more important than anything so PRAY and spread the word, please, even if it's just by clicking a link to share this with some of your friends! Thank you all from the bottom of my heart!!! Thank you for taking the time to make us aware of this illness. We have spent time at Children's and know how hard it is to have a child who is sick. Please know that you and your families will be in our prayers and thoughts. Hi, we also have a daughter with cyclic neutropenia. Her name is Rebekah, she is now 16. She was diagnosed at 10 months old at Womens and Children's Hospital in Mobile, Al. They believe she was born with it, because she started running the high fevers before she was two weeks old. The have said it gets better with age, but she still cycles every twenty one days. The hardest thing now is she misses so much school. We have her on what they call a 504 program. The first thing every one says is she doesn't look sick. It gets so frustrating because this disease has no face. Thank you for commenting on the blog and I'm so sorry your daughter has to deal with this. We certainly don't want special attention for our children with CN, but understanding would help a lot sometimes. People need something physical that they can see to understand that someone is "sick" and with CN, there are no visible signs. You can't SEE the neutropenia or pain, etc. so it's hard to understand. Do you live in the Mobile area? I would love to hear more from you. If you're on Facebook, I'm listed there as Courtney Cummings Barrett. My 8 year old son, Sam was diagnosed last May with CN. After 8 years of wondering why he was always sick we had an answer. We have had so many hospital stays and almost lost him when he was 4 because he got an infection in his trachia. His trachia swelled shut and he was airlifted to Children's Hospital in St. Louis. Six days in ICU and all kinds of test they still didn't pick up on the CN. Doctors kept telling me he was that kind of kid always catching something. Well it was my son's dentist who kept telling me something was wrong. He pushed me to have blood work done. Son's dr was not happy but did it and everything came back fine (he was at a good point in his cycle). Well last February his trachia started to swell again and he once again was at Children's hospital. They did a CBC and his neutrphil was 1!!! Then came the routine blood work twice a week for several months. He was finally diagnosed in May of 2010. Thank you for sharing your story, it helps knowing my family is not alone. I just came across your blog post and was trying to find the facebook page. The doctors are in the process of confirming my sons cyclic neutropenia diagnosis as we speak. My son is 8 years old and has been having the high fevers every 3-4 weeks and no doctors have been able to determine what was wrong. Finally with my insistence the pediatrician did a full CBC the past two episodes and fortunately they saw both the WBC and ANC were extremely low. His pediatrician sent us to a Hematologist thinking he had leukemia because his CBC came back so low but they have diagnosed him with CN. He will be going through 6 weeks of blood tests to determine exactly how severe it is. I would love to be able to connect with a family in my area (Tampa, FL) who may be going through this as it is so rare. My email is scourson1@me.com if you would provide me the name of the facebook page. Good luck to you and your family. hello… just replying on this post. i am living proof that the sysmtoms do get better with age. I was diagnosed with the condition when I was 10 years old…. missed a bunch of school days due to illness. But as I approaced 30 years of age, I noticed the symptoms became less severe. When I was 35 years old, the symptoms disapeared for the most part. This year I will be 62 and I have not had symptoms for almost 30 years now. So, there is hope for relief of this condition.